This week in fashion, Valentino has given Birkenstocks a high-fashion spin, accessories line Trademark to close, Sophie Turner and Laura Harrier star in Louis Vuitton’s Pre-Fall 2019 Lookbook and Rihanna is reportedly launching her own luxury fashion house. Find this news and more as we reveal the top fashion stories of the week. While Rihanna’s fans have been clamouring for new music, it’s starting to look like they’ll be waiting a while longer. According to WWD, the Barbadian star is in talks with LVMH Louis Vuitton Moet Hennessy to launch a luxury fashion label under her name. Today, LVMH owns 25 luxury houses in the fashion industry including Givenchy, Fendi, Celine, Christian Dior and Marc Jacobs. All brands with an incredibly rich history, and known as household names. LVMH’s CEO Bernard Arnault has not launched a fashion label from scratch since 1987 with Christian Lacroix. Reportedly, LVMH has already handpicked insiders from Louis Vuitton and Celine to work with the Rihanna. Fans started speculating on Instagram this week when the style icon was spotted wearing sunglasses emblazoned with “Fenty” on the temples—suggesting it may have been a prototype from a new collection. Italian fashion house Valentino has teamed up with comfortable footwear label Birkenstock on a new collection. The two styles debuted on the catwalk at Men’s Paris Fashion Week AW/19. They are versions of the label’s trademark Arizona sandal, which have been given the luxury fashion treatment. Trademark, the accessories label founded by Tory Burch’s stepdaughters Louisa and Pookie, is closing. Resort 2019 will be the last collection sold in stores. Founded in 2014, Trademark was well known for its crafty gingham-print totes and Italian-leather bucket bags, a favourite among fashion editors. Trademark closed its flagship store in New York in 2017, got rid of its ready-to-wear line and changed factories to sell its accessories at lower prices — mostly under $500 for handbags and shoes while still sourcing materials from Italy. 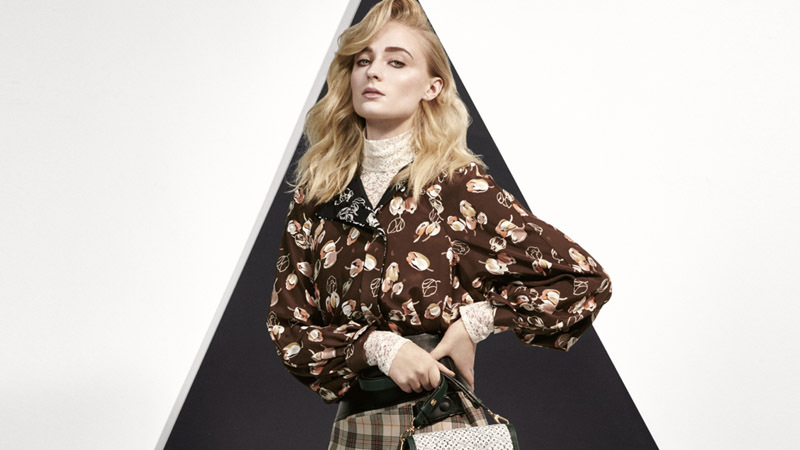 In place of a traditional runway show, Nicolas Ghesquière debuted Louis Vuitton’s Pre-Fall 2019 collection with a celebrity-filled lookbook. From A-listers like Ruth Negga and Michelle Williams to rising stars like Urassaya Sperbund and Indya Moore, the brand snapped 17 fashionable ladies who “illustrate the diversity of feminine expression” to model its new collection. “These women embrace the various personalities that embody fashion at Louis Vuitton. Be they stars or new faces, all of them share the same willpower and confidence in their choices, and at the same time, reflect the eclecticism of the female identity,” Ghesquière said in a statement from the brand. Vuitton’s Pre-Fall ’19 collection ranges from ultra-feminine florals and lace to edgier leather and plaids. The collection also features new takes on the brand’s signature logo bags and leather goods.